The creative director of 'T: The New York Times Style Magazine' and principal of Li, Inc. speaks to us about working with the best in class. Patrick Li&apos;s name might not be instantly recognizable, but you&apos;ve almost certainly seen his work. In a career spanning over two decades, Li has replaced the traditional gothic logo of T: The New York Times Style Magazine with a three-dimensional design of his own; designed the logos of Alexander Wang, Jason Wu, Rodarte, Smashbox Cosmetics and Barneys New York Co-op; and overseen the art direction of Vogue China. Aside from fashion, Li&apos;s also worked with several art institutions, including the Guggenheim Museum and The Museum of Contemporary Art in LA. 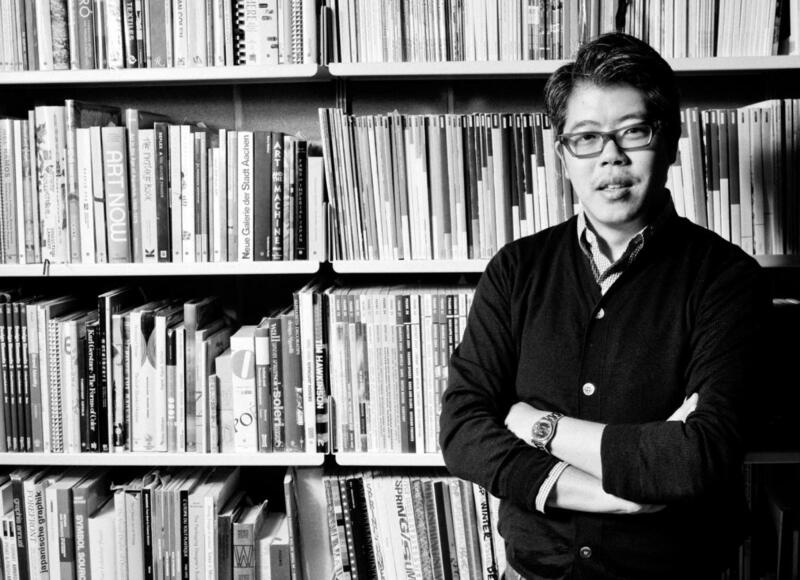 Li began his career working at a graphic design magazine called Emigre while studying architecture at UC Berkeley. 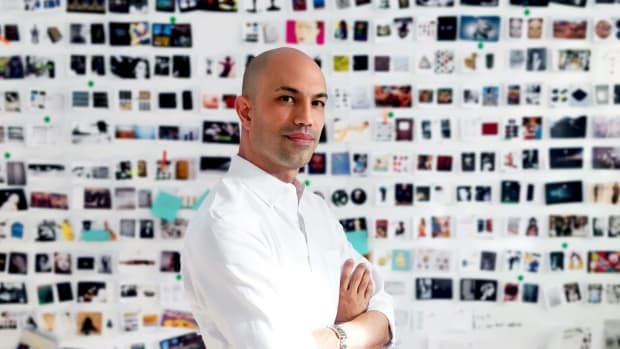 Since then, he&apos;s built up an impressive resumé, which includes working under Fabien Baron at Baron & Baron, starting his own design studio, Li, Inc. (formerly Work in Progress New York) and working as the art director at large of Vogue China. Currently, Li splits his time between T: The New York Times Style Magazine, where he serves as creative director, and his studio. On a recent Thursday, Li kindly took a moment out of his busy schedule to talk about his first job in New York, the challenges of starting Li, Inc., his first conversation with T’s Editor-in-Chief Deborah Needleman and his advice for aspiring creatives. During college, you worked at Emigre, a graphic design magazine known for being super experimental. What were some things you learned working there? I really learned how to be involved with every aspect of a business. I took care of everything from editing bitmaps and typefaces to distributing the magazine to subscribers. Packing them up and bringing them to the post office. No job was too small. After college, you moved to New York and landed a job at Interview. Could you tell us more about that? Initially, I was hired as an editorial assistant. I knew how to use a PC and a Mac so I was sort of in between the art department and the editorial department. And after a couple of months, I was like, "I feel really passionate about the art department, so I&apos;d like to move into that." There were people already there in the department so Ingrid [Sischy] was like, "Well, we&apos;d like you to stay as an editorial assistant." And I was like, "Well, I can&apos;t really do that, so I&apos;m going to have to leave." But on Monday, I was able to go into the art department as long as I kept my job in the editorial department. Did you ever find it restrictive looking at design from a fashion point of view, having come from Emigre? I wouldn&apos;t even call it a restriction. It had a different aesthetic position where it was under Tibor Kalman as creative director at the time. It wasn&apos;t necessarily my point of view, but it wasn&apos;t my place to inflict a point of view. I was there to facilitate and help the team that was there. As a young graphic designer, you would always try to push things forward in the direction that you believed in. And the art director could say that&apos;s either too crazy or not crazy enough or that&apos;s not really our mood. But my role back then was such a low level that I rarely got in those discussions and I was always thrilled when I did. 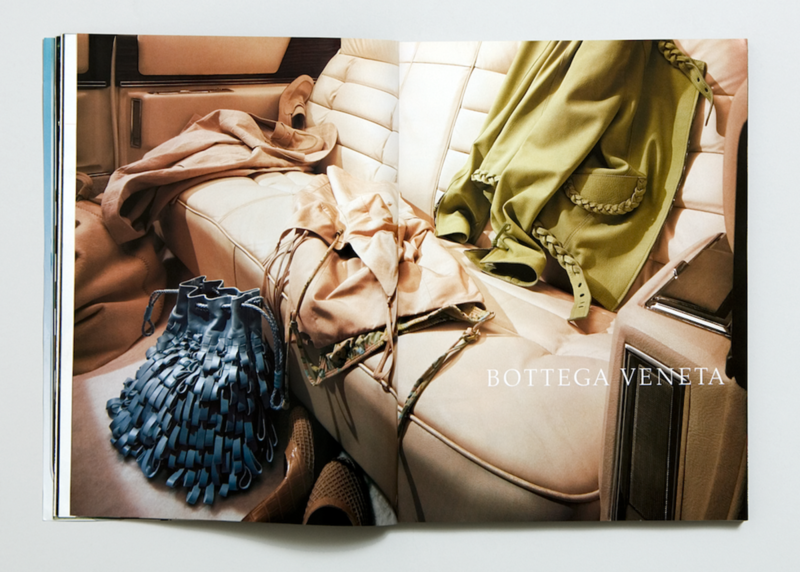 Bottega Veneta advertising campaign. Photo: Li, Inc.
Where did you go next after Interview? I moved away and started doing architecture again. And then came back to New York and started working at Fabien Baron&apos;s agency, which is really the true foundation, not of my knowledge, but of my understanding of the industry. It wasn&apos;t a publishing industry, although it was very related because Fabien was redoing Harper&apos;s Bazaar at the time. Looking back it was such an incredible moment in fashion history. And I&apos;m so grateful for that experience. How was working at an agency different from working at a publication? In a way they&apos;re very similar. You were trying to develop the personalities of where you were working or whatever client you&apos;re working for. It&apos;s an interesting intersection between a designer&apos;s perspective versus what the brand wants. And you could either help to further what the brand wants to be more than what your own specific aesthetic is. Unless they&apos;re totally in line and that&apos;s the best-case scenario. You started your own agency called Work In Progress in 2000 [renamed Li, Inc. in 2008]. How did that come about? My friends in Paris had a magazine called Self-Service. I was the New York editor since it started and after I left Baron & Baron, I started my design company as the New York office of my Paris partners. We worked on different projects but we sort of collaborated together creatively. It was difficult because you realize that, "Oh ok. Now I&apos;m responsible for myself and for one or two employees. I need a color copier. Which color copier to get? What&apos;s the best phone plan I can afford right now?" All those kinds of decisions that are all just super practical. But I helped take care of so much of that in Baron & Baron in addition to designing that it was like I knew how to do it already. And then you started working at WSJ Magazine? Right before that I was working on Vogue China. I did [it] from right at the launch and worked there on and off for about eight years as an art director at large. I met a lot of amazing people, especially a lot of people who are doing such great work in China today. 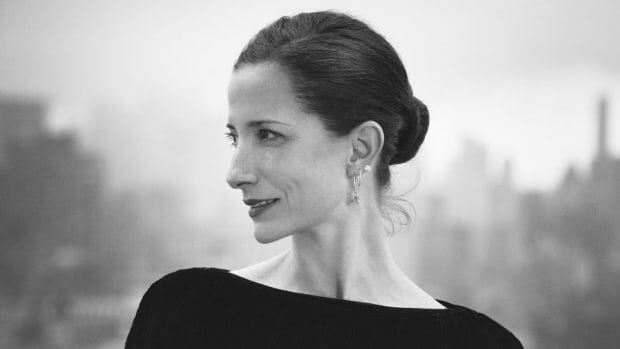 And then I met up with Deborah Needleman at WSJ Magazine. I was actually on my way to the airport to go to Beijing and she was like, "Let&apos;s start working together." I was recommended through a friend and I&apos;m so grateful for that connection. The word-of-mouth thing is so important. You have to remain true to yourself but I think there are people who recognize that. Anyway, someone had recommended me to Deborah and we hit it off. And then she got an offer at the Times and of course I was thrilled by the possibility of working for The New York Times. What&apos;s an average day like for you at T and Li, Inc.? Everyday is different but I start my day either half at my studio and the other half at the magazine. The magazine is very cyclical by nature; you go through periods of coming up with concepts and then making them happen and putting them into layout. So assigning photographers that will help bring life to a story, waiting to see what the text is like and really trying to have a visual language that supports and strengthens those stories. There are some days I get to design more and then there are days where it&apos;s really about getting things in motion. Within the magazine, there&apos;s a world outside of just the print issue obviously. So there&apos;s the digital side, events and other sort of activities that support the magazine that I get involved in. 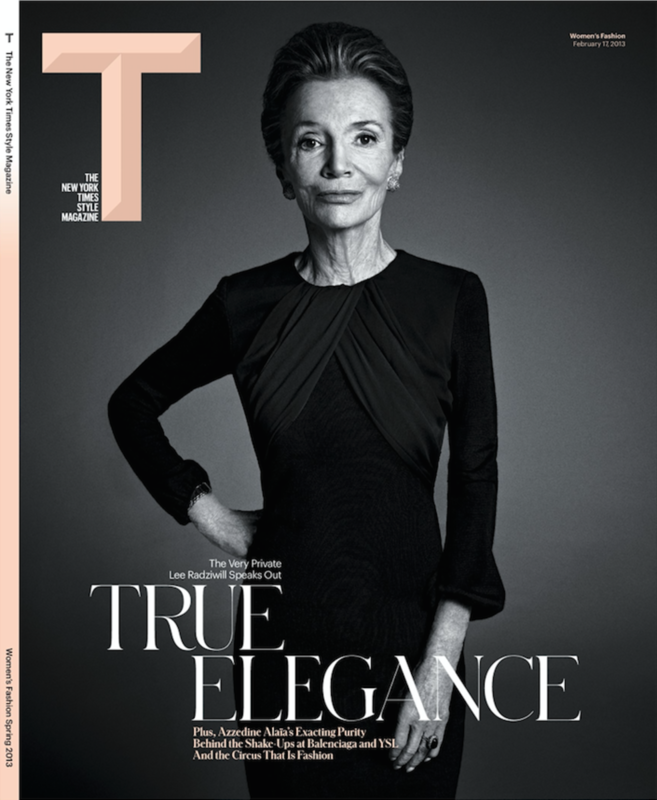 [The magazine]&apos;s continually inspiring because I&apos;m exposed to so many more things than I have been before. Deborah and the team are so really, truly gifted. And they have opened my eyes. People who do the very best of what they do, they can be super obscure, but then I learn about their work and I&apos;m like, "Oh my gosh. They really move things forward." I don&apos;t know if it directly impacts what I do, but it certainly brings a level of inspiration. You&apos;ve worked with a lot of emerging brands like Alexander Wang, Jason Wu and Rodarte. What are client meetings like? Do you have a lot of discussions leading up to a project? Thousands. I try to get an idea of that person&apos;s aesthetic position. What do they believe in? What&apos;s inspiring to them? What&apos;s their sense of community? You can only get that through conversation and interaction. Sometimes it&apos;s more than just words like what is that pencil the person is using or what&apos;s their bag like. And not to put so much weight on those things, but it&apos;s a combination of all those decisions. Some people are really thoughtful and some are really casual and neither one is better than the other necessarily. How do you decide whom to work with? One of the things I&apos;m trying to be aware of is to help support brands or institutions that are best in class. So obviously Alexander [Wang] is very different from Jason [Wu], but they&apos;re both the best at what they do. I get requests to do some projects and a lot of them are really great, but I can&apos;t do more work than what I&apos;m doing already. So I have to rely on instinct. "Ok, this person is the real deal." And if I feel like I can help them, then it&apos;s great to enter into a collaboration. What advice do you have for people who want to break into this industry? It&apos;s really to follow one&apos;s passion. If you&apos;re not into graphic design, find another way to get in. If you&apos;re not into schlepping clothes in the closet, there are other ways to get into that world. It&apos;s really about being exposed to different aspects. I&apos;ve gotten some requests from people who&apos;ve written me letters saying, "Can I just come and hang out and watch you work?" And I&apos;m like, "Well... That&apos;s not how it works really." You have to enter into the world with an idea of what interests you. It can&apos;t be as vague as like, "I want to work in fashion." I think to really contribute, it&apos;s nice to have an idea of other creative cultures or industries out there. 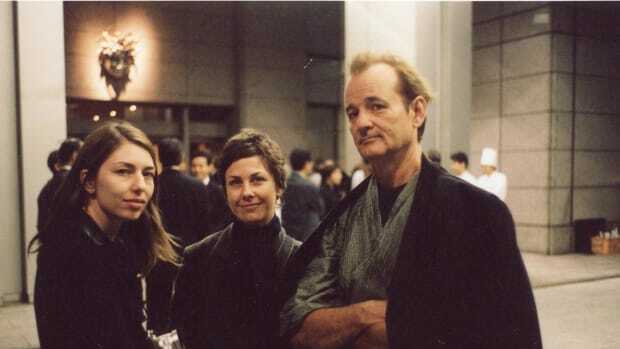 So for me, that was the contemporary art world. Everyone can choose their own things; it could be music, it could be film. It&apos;s about how other kinds of creative industries can inform what you want to do. And if it&apos;s in fashion, you bring a little bit of that other thing to it and that, I think, is super important. 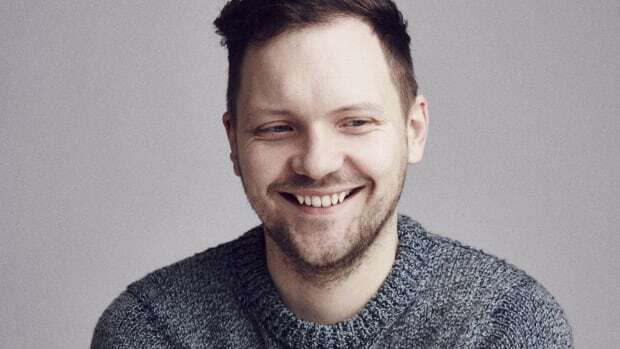 How I'm Making ItT: The New York Times Style MagazinePatrick LiLi, Inc.
An encyclopedic knowledge of fashion history sets the British native apart from his contemporaries. We chatted with "Visionaire" Creative Director Greg Foley about the magazine's 25-year history and its offshoot, "V" magazine.